Rohingya and the ICC – The Rights of the Rohingya? The “preliminary probe” announced by the International Criminal Court (ICC) in response to the exodus of the Rohingya opens the door to further international legal inquiry into the accusations of systemic ethnic violence against the Rohingya Muslim minority. But the prosecutor for the International Criminal Court is facing serious challenges in fulfilling the raised expectations. 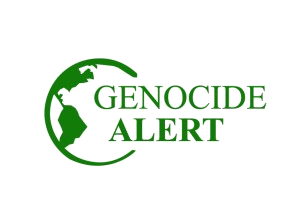 https://www.genocide-alert.de/wp-content/uploads/2018/11/MyanmarICC_1260px.png 560 1260 Robert Menzies https://www.genocide-alert.de/wp-content/uploads/2015/10/GAlongo-transparent1.png Robert Menzies2018-11-26 06:50:482018-11-25 12:08:50Rohingya and the ICC - The Rights of the Rohingya? The Plight of the Rohingya – Responsibility to prevent ethnic cleansing? 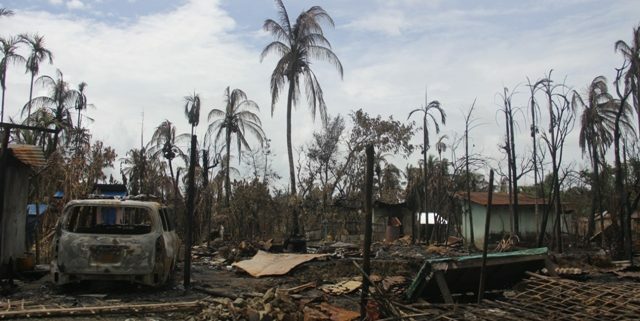 https://www.genocide-alert.de/wp-content/uploads/2017/11/WIKIMEDIA_Aug-2017_Burnt_down_house_in_northern_Rakhine_State_Moe_Zaw-VOA.jpg 427 640 Robert Menzies https://www.genocide-alert.de/wp-content/uploads/2015/10/GAlongo-transparent1.png Robert Menzies2017-11-28 09:50:102018-02-24 13:49:05The Plight of the Rohingya - Responsibility to prevent ethnic cleansing? The Responsibility to Protect (RtoP) or ‚Schutzverantwortung‘ has made significant inroads in terms of cementing itself on the German domestic political scene. With the elections just ten days away, how do the major parties plan to deal with the principle? How does it figure, if at all, in their policy platforms? What can we expect from the major parties regarding their support for RtoP for 2013 and beyond? This policy brief provides answers to these questions for an English-speaking audience.